Center for Internal Change offers everything you need to understand, research, sample and buy the right DiSC Personality Test and training products. DiSC Certification is available both in-person and online. 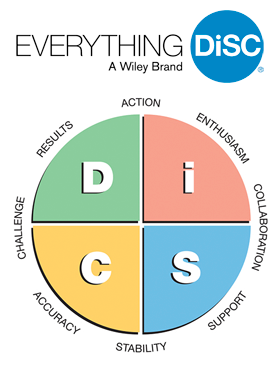 DiSC is a personality assessment that provides insights into an individual’s natural and adaptable behavioral styles in relation to their workplace, leadership style, management approach, sales style and other situations. The DiSC Profile is a blend of four primary personality or behavioral styles and their relationship to each other. DiSC is based on the original work of William Mouton Marston and has evolved into its current 3rd generation, the Everything DiSC model. We are able to generate instant online results. We provide you with a personalized profile with 33% higher validity, increased reliability, and greater usability than previously found in the older 28 and 24 question assessments. We us real-time, adaptive testing questions. All of our profiles are researched, developed and validated learning tools from Everything DiSC, a Wiley brand (previously Inscape Publishing). Learn more about the four DiSC styles. View a sampling of our DiSC clients by industry. These third-generation DiSC Profiles incorporates adaptive testing questions and takes an average of 15 minutes to complete online. DiSC Classic 2.0 Profile – Online version. 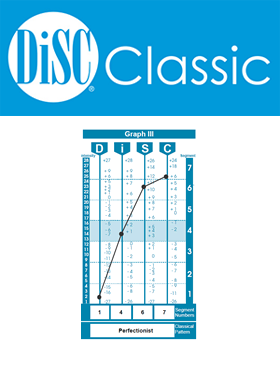 DiSC Classic 2 Plus – Online expanded version. This is the 28 question, four word cluster version. Just choose which word is most like you and which is least like you. These can be completed in 15 minutes online or 20-25 minutes for the paper self-scoring versions. Free unlimited consultation and customer support from our Inscape Publishing product consultants and DiSC Certified Training staff. Quantity-based prices or customized training bundles (no need to buy more than you need). Instant access codes upon ordering with immediate results upon completion for DiSC and other Inscape assessments or the ability not to have some see their results. The ability to administer, brand and customize our online Inscape assessment profile tests and reports through your own personal EPIC Account online administration account. Note: We can set you up with your own online administration account (EPIC Account) so you can brand your profiles with your logo and contact information. EPIC will also allow you to issue access codes, generate completed profiles and create group reports. It will also save you money on larger quantity orders. 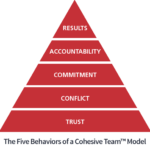 We are excited to now offer the Emotional Intelligence (EIQ-2) Assessment and the Motivators Assessment for Motivational Styles and Values (PIAV). Everything DiSC is a Professional Partner of ATD.